Whether you’ve been there from the beginning when Eden first met Az in A TOUCH MORTAL. Spent countless hours contemplating with other A Touch Trilogy fans over the fate of the kitten, from A TOUCH MORBID. Or are just joining us now, the conclusion to Leah Clifford’s A Touch Trilogy promises to be heart stopping and well worth the wait! Pick up whichever novel you need to catch up before MENACING’S March 5th release date. You don’t want to be the only one not talking about this book! 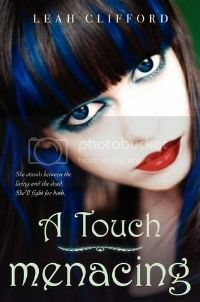 2 Lucky Bonus Winners Will get 1 Paperback of A TOUCH MORTAL and 1 Hardcover of A TOUCH MORBID signed to the winner! - Books Will Only be mailed in the US. Leah Clifford currently lives in Ohio, but frequently dreams of finding an abandoned mansion in the south that she can restore. In her spare time she loves to travel and has been known to drive over two hours to get kickass quesadillas. So far for jobs she's sold corn at a roadside stand, been a pizza delivery girl, a camp counselor, an extreme cave tour guide, a flight attendant, a waitress (x3), a grocery store clerk and a writer. Out of all of them, writing has been the most fun. She's pretty sure she's gonna stick with it. Love Leah’s A TOUCH TRILOGY? Check out the CafePress store dedicated to the series. Hey. I couldn't help but noticing that u are a Aussie Teen Book Blogger and everytime I read a post from fabulous Uk bloggers receiving an endless pile of review books, I remember that we are a rare species. Lol. 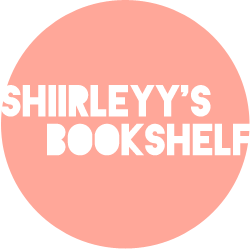 I'm Sunny also a Aussie Teen Book Blogger and I run a blog called A Sunny Spot. Nice to E meet you, I'm a new follower. I haven't read any of the books in this series but I really love the continuity of the covers, the series goes together so well. Great post and what a wonderful giveaway that is! Yet another series I have to play catch up with! I'm falling behind big time. ;) Thanks for sharing, Shirley. I love the look of all the Mortal Portal items. Ahhh Shirley! I need to read this series! I even have the first book on my shelf but haven't had time to get to it yet. *sigh* One of these days I will:) And I had no idea she lived in Ohio! THAT IS AWESOME! I love when I find out authors live by me (in the grand scheme of things anyway, Ohio's fairly large). And what awesome prizes, good luck to everyone! What is wrong with me?! This series just never caught my eye until now. I honestly don't remember seeing it anywhere before now. It's weird because the covers are so lovely, they're practically unforgettable. Well, it's defintiely on my radar now. I haven't read this series yet, but it sounds like fun! Crumbling to ash? Plagues? Sign me up! ;) Awesome giveaway, too, thanks for hosting.